First prog you ever read? Re: First prog you ever read? First Prog I ever read was 86. But I didn't start collecting every week til 127. I've read every week since Prog 224. My first prog was whatever one came with the free Buck Rodgers sticker album. 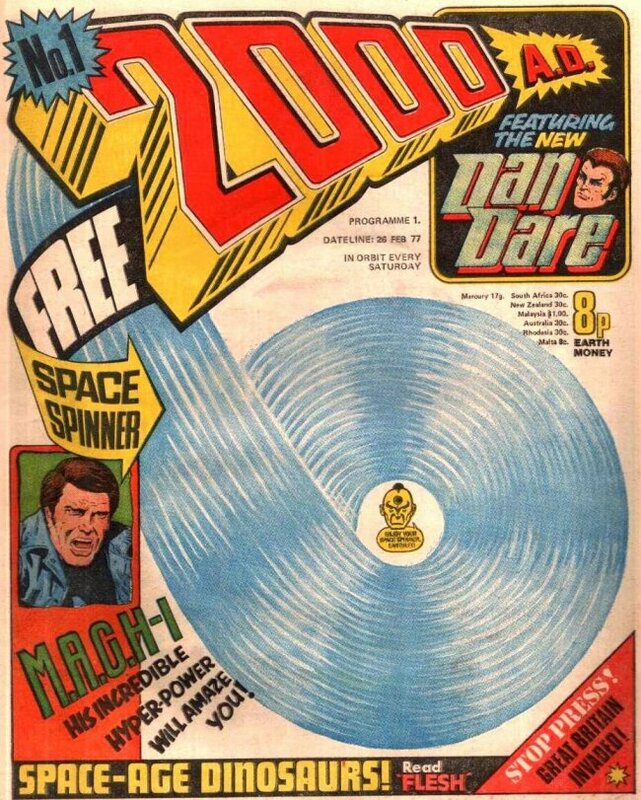 Prog one, right the way through to 670 when my parents cancelled the newsagents order. Which was fair enough, I had been away at university for six months by that stage. 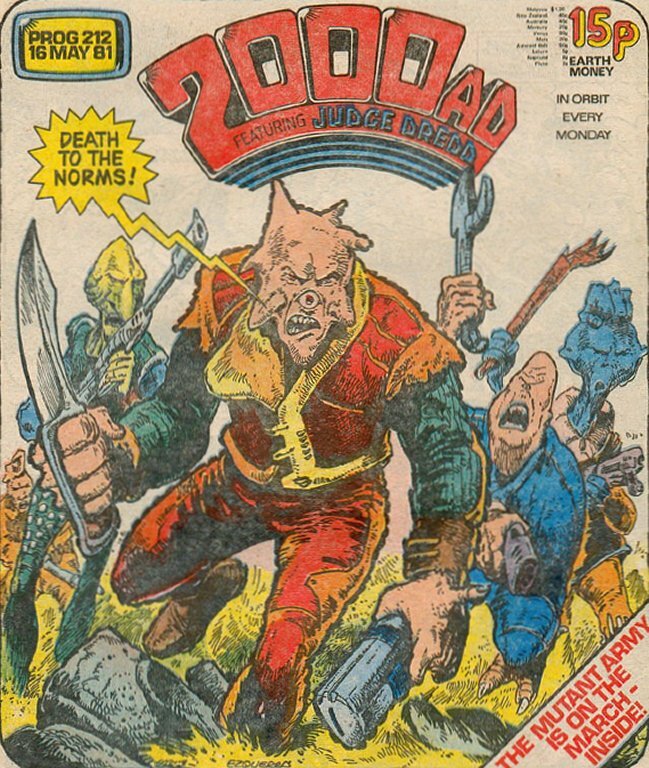 Okay, let's see how well my memory holds up after 40 years... First read Progs 1 through to 4, then Prog 9 thru to Prog 25 when my mother banned me from buying 2000AD and threw out my collection. 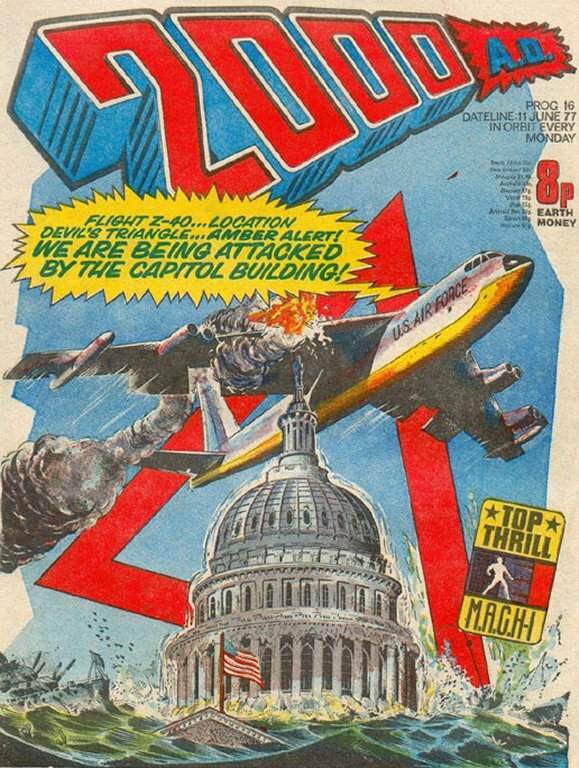 Then only sporadic progs (68, 89) were allowed (when I was on holiday) until the Tornado merger in Prog 127; missed 128 somehow but 129 through to 161 was an uninterrupted run. Next Prog I know I picked up was 178 (with free badge) and I stayed the course until at least 282. 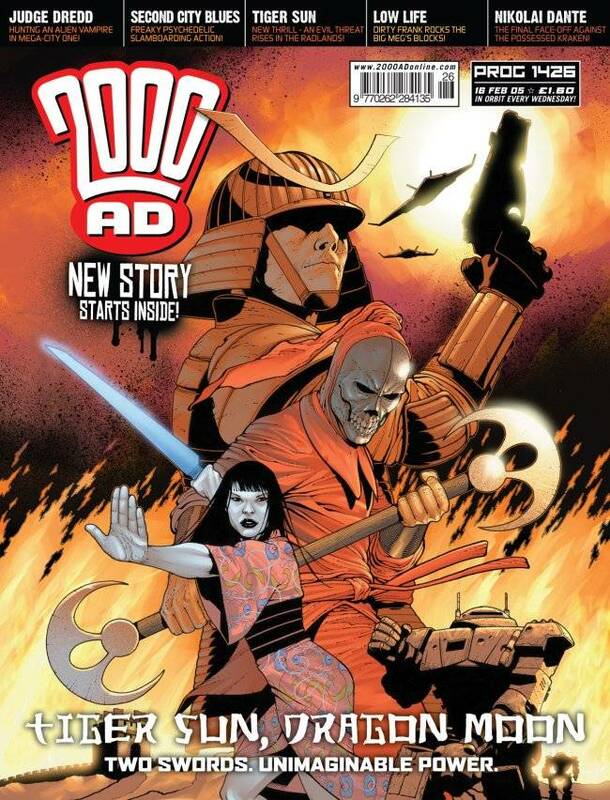 As far as I remember my big run to the present day almost certainly commenced with Prog 300. Not sure how/why I missed 5, 6, 7 & 8 but I did. Not "threw out" literally; she donated them to the children's ward at the local hospital. Apparently 2000AD was too sick for her little boy but not for the sick children in hospital. I know I read the conclusion to 'Fiends of the Eastern Front' so that's a milestone. Don't recall the Robo-Hunter World Cup poster that began in Prog 283 so I assume I missed it. I think I may read 'Harry 20' from the start (Prog 287) or very soon after so I may well have been a sporadic reader before Prog 300. Picked up copies left in the crash out room back in the day and also read the lad's copy (bought with his pocket money), but the first one I brought for myself was 1600. 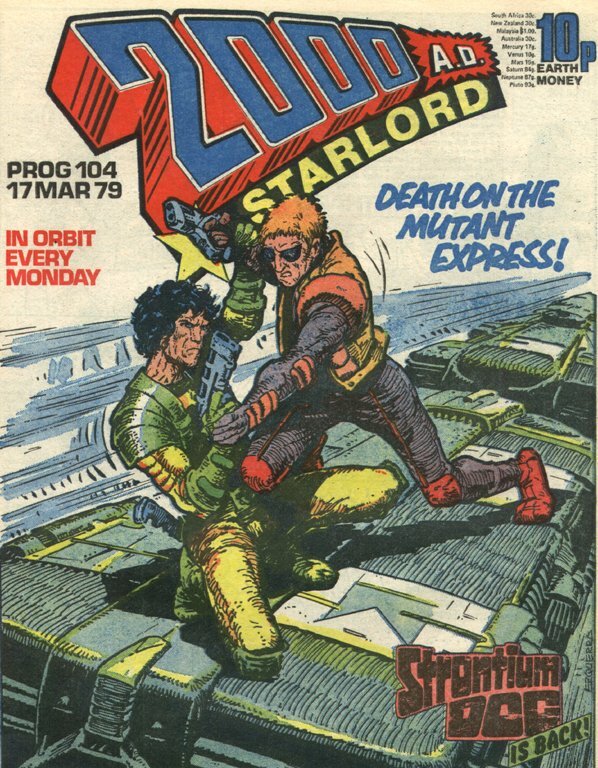 First became aware of the Prog through my elder brother who was a massive Strontium Dog fan. Aptly he's named 'John' but was known as 'Johnny'. The first Prog I bought was 6**, it was during Necropolis, I remember Dredd jumping onto a Lawmaster from an oversked. 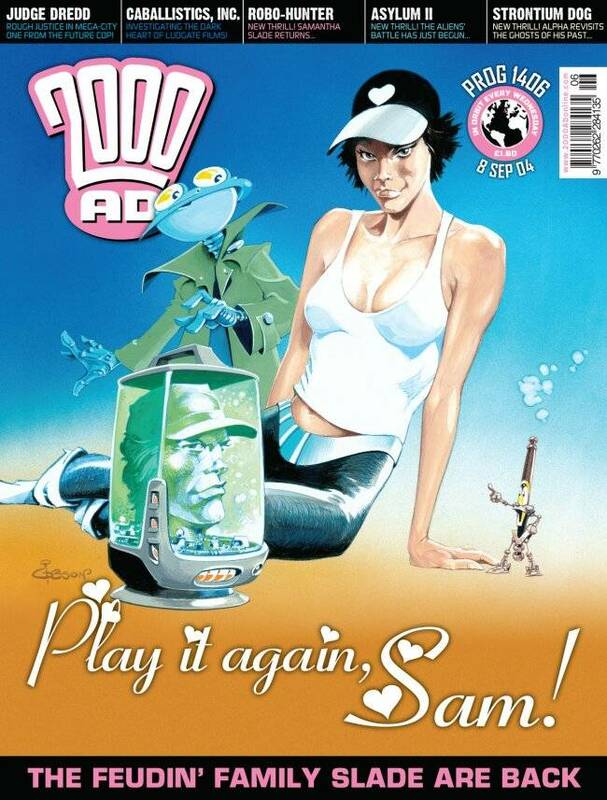 I started buying regularly at 7**, It was the beginning of Killing Time and I was drawn in by the fantastic cover. Stopped buying around the 1100 mark, there was some story about toy miniatures (Havok?). Returned at Prog 2011 (Christmas issue) and have collected ever since. 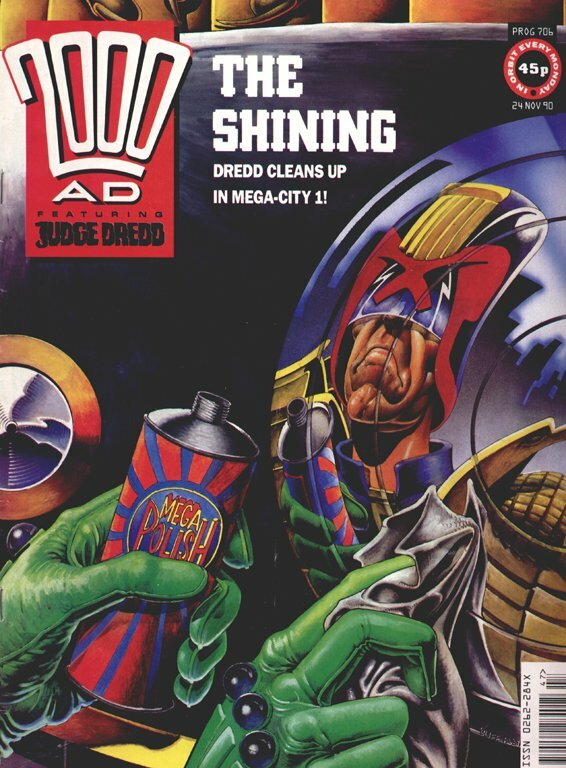 My first was Prog 706 which has Dredd polishing his helmet on the cover .. fnarr .. I didn't get the Malcolm X reference at the time. mine was, prog 580, picked it up because of the cover by Ian Gibson just blue me away! 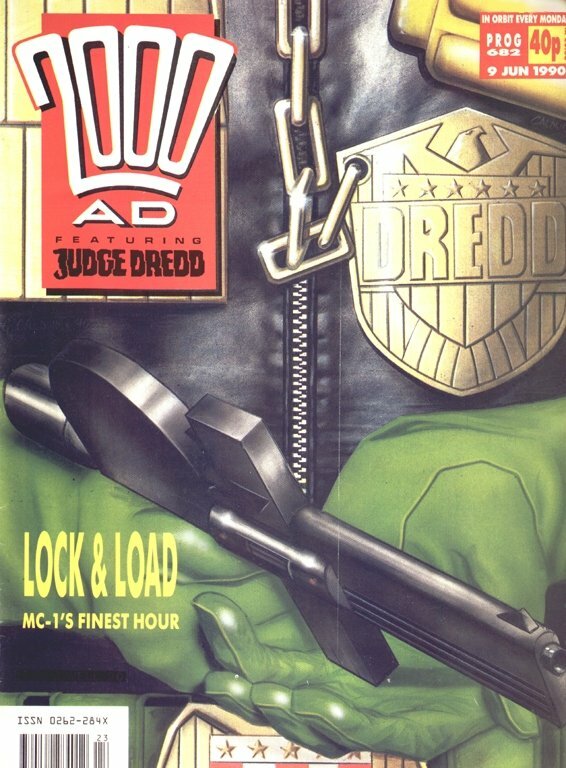 I was reading The Star news paper Dredd at the time and was really in to Ian Gibson's art from that, however it was a few more months before I became a regular reader after that. The Stars Dredds at the time. What's a crash out room? Not heard that phrase before.